Organics Unlimited is celebrating the 10th anniversary of its GROW social responsibility program that supports rural Mexican and Ecuadorian communities surrounding its organic banana farms. Through a September campaign, the San Diego-based Organics Unlimited plans to raise awareness and motivate more distributors, retailers and consumers to become involved in the program that funds youth educational scholarships in Mexico, clean water programs in Ecuador, dental and vision care in Mexico and micro-loans for small businesses, according to a news release. 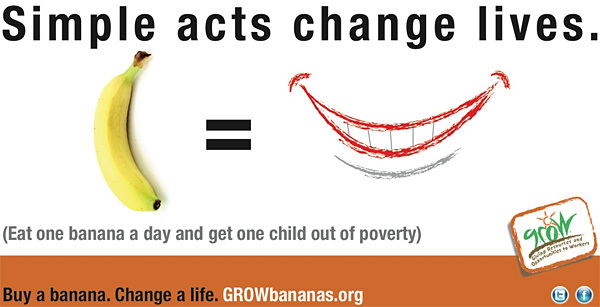 Organics Unlimited offers promotional materials to help retailers and distributors share information about the program and consumers can support it by purchasing GROW-branded organic bananas and sharing the hashtag #GROWTURNS10 on Facebook, Twitter and Linkedin.